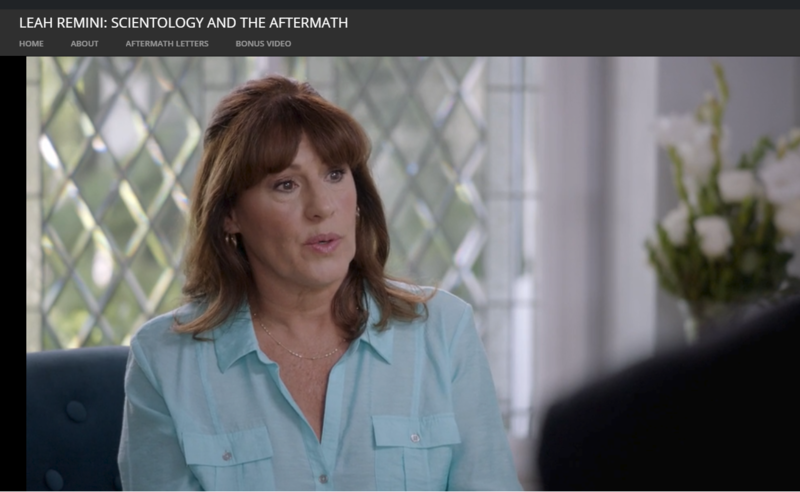 One of my oldest and dearest friends, Janis appeared on The Aftermath last week to help shed light on the life and disappearance of Shelly Miscavige. Her fantastic, almost photographic memory is a treasure that should not be taken for granted. And she has put her gift to excellent use in the two books she has published so far chronicling her life which also serve as the definitive history of the Sea Organization. If you want to know what life was like with L. Ron Hubbard in the formative years of the Sea Org, the first two volumes of Janis’ story are the only place to go. Her extensive access to Hubbard, her inquisitive nature and her ability to make friends with everyone served her well. Her depth of knowledge of events and the characters that populated the scientology world in the 60’s and 70’s is unparalleled. Nobody before now has been able to put together such a complete picture — and I suspect nobody will in the future. Janis’ access to the inner workings of the world of Hubbard and scientology is unique. Not only was she one of Hubbard’s original “Messengers”, she was also the daughter of one of the most celebrated Sea Org members (Yvonne Gillham) and one of the most widely known and recognized scientology “Field Disseminators” (her father Peter), thus she was right there experiencing virtually everything that happened. I cannot recommend these books highly enough as the ultimate, fascinating insider history of the formation of the Sea Organization and an important part of the life of L. Ron Hubbard. Both volumes are available on Amazon. I hope Volume 3 is on the horizon. I was never in Scientology and Ms. Gillam-Grady doesn’t know me from Adam, but when I contacted her with questions, one more than one occasion, I should add, she always answered me A.S.A.P. I was surprised, impressed and grateful for her generosity in replying. I am very impressed by her honesty and willingness to open up to an outsider. She is a truly impressive person! Good Lord but I love this woman. I bought her books in kindle and softback to both have and support her. She’s a jewel. I’m so glad for you to share such a friendship with her. You both deserve it! Having served with Janis on the Apollo I agree with Mike. Janis’s books are unique as only a commodores messenger could write. And Janis is tops. She saw him as he was, on an every day basis. No master, no god, a human being. Insider and eyewitness stories are vital. Who knows what outrages are happening at the top. Two more ebooks I need to purchase! Read the books twice. I could read them 3 more times again. The two weeks it took me to read the two books, totally disrupted my life and mind, due to it putting so much behind the scenes history behind all those same years of policy and tech writings and lectures of Hubbard in context. jI was an admin writings of Hubbard nerd, a Flag Course Sup for admin training, so the whole enchilada Hubbard admin writings I scoured over and over and over. Janis’ books ought to be in the Flag Course rooms and all other course rooms in Scientology, for history. The day Scientology allows Janis’ books in their course rooms and in the Qual Library, for reference history books, then the movement will have changed in a significant way. In fact, all of the ex member books and critical books ought to be in the course room ref section and qual library, and also on the shelves of the non-existent WDC and Exec Strata “think tank” members who are supposed to handle long range strategies for the movement. If Scientology only were to allow the members to see the critical and history books on their movement, and allow them to discuss and decide how to fix a few things, they’d be the wiser and less damaging to their membership. I look forward to Janis’ next book(s) as she continues forward into the rest of her career. I read Janis’ second volume and loved it! Such details. Janis gives the extra of life on the Apollo, for sure. Sent it to a friend as an early Christmas gift. I sat spellbound as I watched the show, “Where’s Shelley?” A fantastic run down on The Commodore. But the best line came from LRH’s ship’s captain when he indicated that he knew they were nuts, “but he’d wait for LRH to return.” My, oh, my, beyond belief. And a special thanks, to you, Janis! Thank you Janis Gillham Grady for doing something about Scientology. Your information is helping me work on getting an old timer out for ever. It is so sad – he is elderly and the Cult bankrupted him and he has no money left or family. He has huge debts from the shenanigans the Cult did to him while he got auditing at Flag. He is so afraid the cult is going to come after him – what a number they do on people in Scientology. Mary – I love that “Book One’ reference to Jefferson Hawkins His book was my Bridge to Clear – n His book helped me understand clearly understanding why I could never get out of doubt in Scientology – for real. I blew after I read it. Thank you everyone for all of your contributions. We love you all and lets continue to expose this fraudulent corporation making billions….off of people that think they are part of a church. As a marketer for a Fortune organization (that I don’t mention because we are also prohibited in personal cause issues), and a long-time member of the legal community before that, I learned and learn a lot about sending out personal causes on corporate letterhead. I, like the snippet below from Dr. Murray, would be perceived as speaking for this organization every time I do that. I must specifically put “words my own, not affiliated with my employer,” and just like your policy, we’re not allowed to use our org’s logo ANYWHERE on a personal cause issue. This letter violates nearly every USC identity Guideline, particularly the ones on brand and accuracy. It doesn’t matter to me what side of the argument you take as my views are not relevant to this; my issue is with misuse of brand trying to give more weight to the opinion with USC blazing on the letter. I’ve seen every one of these shows (and watch other viewpoints also), and each and every one of these shows demonstrates in the beginning a clear effort to invite Scientology to be on the show and they REFUSE to participate. Now blaming the tragic synagogue tragedy on this show? It’s non-sequitur and I’d like to see every single peer-reviewed reference to substantiate the opinions in this letter and the link between this show and the tragic synagogue shooting. Saying “I understand that…” is irresponsible of USC and I for one want to see every single fact that bears this up which is in this letter bearing your branding. It’s your responsibility as it’s on your letterhead. I couldn’t agree more. Janis’ books are a unique, intimate look at Hubbard’s daily life and psyche. Admirably, she refrains from criticism and just relates the events as they happened. For anyone trying to peel the onion and understand Scientology, they are essential reading. One other book I would like to recommend is Alec Nevala-Lee’s “Astounding”, a biography of John Campbell. It includes deeply researched history about Hubbard pre-Dianetics. 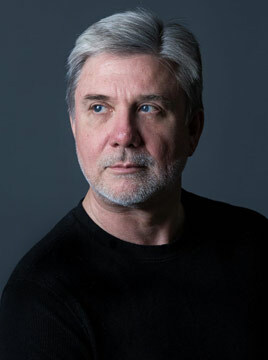 It documents the roles that Campbell and Dr. Winters had in the development of Dianetics – the techniques that were written in DMSMH were developed by them. I can’t wait for Janis’ Book 3! I have read both , they are important because of the remarkable precision and the recollection of an innocent 16 year old who gives it to us « as it was ». There is nowhere to hide for LRH , the words of a child do not lie or embellish. It reminds me a bit of Amy Scobee’s book , no opinions , just the facts. As a public scientologist that I was , it gives so many answers as to where the sea .org craziness and ‘’ disorganized organization’’ came from. Mike do you know when series three will be shown in other countries like the UK? The more people see this the better! Merry Christmas and thanks for everything you’re doing! Series 3 starts in the UK 10th January on the Crime and Investigation Chanel on Sky. Series 1 is being shown on Quest Red on Sky at the moment. Going Clear is available on demand on Sky Atlantic. White sorry I made a mistake Aftermath starts on th 2nd January on C&I. Thank you Mike for acknowledging the great work and contribution Janis has made. Yes, her recollections are outstanding and it was so important for her to have done this and given the true history of the sea org and LRH. These 2 books are great and I cannot wait for the 3rd book………It is a must read book for anyone to read. Thank you Janis for your HUGE contributions of information about the history of the Sea Org and L. Ron Hubbard and for contributing to The Aftermath series about Shelly Miscavige. You are a treasure and the information you provide gives readers/listeners a succinct history of the church of scientology and the two leaders it has had. Before your two books was Jefferson Hawkins book “Counterfeit Dreams” which was my Book One and it lite up my world and helped me wrap my mind around what had been going on in the church I was a part of since the early 70’s. I’m sure your two books do the same thing for so many that were in early or not. What a Lovely Tribute Mike to a Lady I have long Admired. A True Shining Spirit who took millions of lemons, rotten ones, that the cult of Scientology threw at her & made more than just lemonade! HerTrilogy will stand as one of the Best about Sea Org life etc. I am eagerly waiting for book #3 as well. Love to All You All are so Special to Me.